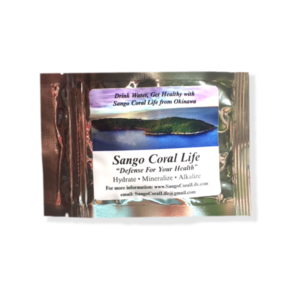 Chances are you know someone with Indigestion or Acid Reflux… People are finding relief with Sango Coral Life mineral sachets. These sachets are an all natural way to help rid your body of the acid that may be causing the acid reflux. The statistics below are staggering…..
For many, the rich food, abundant alcohol, weight gain and stress of the holidays likely lead to one thing: heartburn. But new research finds that an increasing number of people struggle with the burning and pressure of surging stomach acid all year long. A new study reports that the number of people who frequently experience symptoms of heartburn, also called acid reflux , has almost doubled in the past decade. Acid reflux can mean more than just discomfort — too much surging stomach acid can create a web of scars in the esophagus, causing food to get stuck on its way down. Research also has connected acid reflux with an increased risk of esophageal cancer, particularly if it is chronic and untreated. Researchers in Norway followed a group of nearly 30,000 Norwegians from 1995 until 2009, tracking their responses to a national health survey. They found that the number of people reporting symptoms of acid reflux at least once a week ballooned from 31 percent at the study’s beginning to 40 percent by the end, an increase of 30 percent. Responders reporting severe acid reflux rose by 24 percent, from 5 percent in 1995 to nearly 7 percent in 2009. Women seemed to be more affected by the disease than men, and acid reflux became more common in people of both sexes as they crept toward middle age. In 2006, a study from the Mayo Clinic found that 5 percent of people with acid reflux developed Barrett’s esophagus, a condition that may be a precursor of esophageal cancer. Although esophageal cancer is far less common than other cancers, it is particularly fatal. According to the National Cancer Institute, there were nearly 17,000 new cases of esophageal cancer in the U.S. in 2011, and nearly 15,000 deaths as a result of the disease. Writer Christopher Hitchens died of complications from esophageal cancer last Thursday. Ness-Jensen said he attributes rising numbers of acid reflux cases to expanding waistlines and increasing obesity, in Norway and other Western countries. Obesity is a familiar problem for Americans, and doctors say it’s not hard to imagine that the obesity epidemic has caused a similar surge in acid reflux in the U.S. According to the American College of Gastroenterology, 60 million Americans report having heartburn at least once a month, and some studies report that more than 15 million Americans have symptoms every day. A major factor in the public’s increased awareness of acid reflux comes from advertisements for over-the-counter and prescription drugs like Nexium, Prilosec and Zantac. The Norwegian study found that 98 percent of those with severe acid reflux and about 31 percent of people with more mild cases reported using such medications. Doctors say these drugs are safe and effective in keeping the pain and discomfort of acid reflux at bay, but little is known about how they affect patients over the long term, or whether or not they are effective in preventing such complications as Barrett’s esophagus and esophageal cancer. Before prescribing medications, many doctors recommend that patients try to change their lifestyles to keep acid reflux in check. Avoiding spicy or acidic foods, quitting smoking, minimizing caffeine and alcohol and losing weight are some of the changes recommended by the American College of Gastroenterology. “Not eating before bed helps as does raising the head of the bed on blocks by 2 to 3 inches,” said Dr. Randy Wexler, an assistant professor of family medicine at Ohio State University. “If somebody has problems less than two times per week or in certain situations, over-the-counter antacids like Tums are fine,” but more chronic or severe acid reflux may call for other drugs, such as H2 blockers like Zantac or proton pump inhibitors like Nexium and Prilosec. Is Hair Regrowth Really Possible? Ever Feel Like Your Weight Loss is Being Sabotaged?